VOYAGER Estate, one of the leading lights in the Margaret River wine industry, has announced plans to transition to organic accreditation. Steve James, manager of wine-making and viticulture, announced the switch in the year Voyager is celebrating the 40th anniversary of its first plantings. 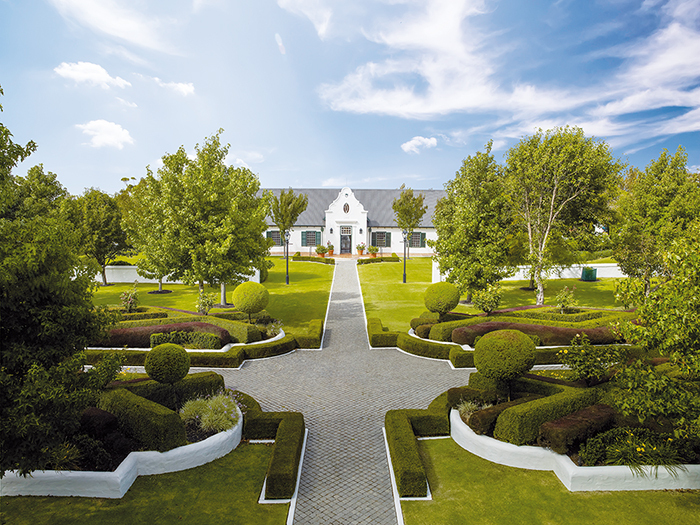 James said that 40ha of vineyards, or nearly one-third of the winery’s Stevens Valley vineyards, are now in conversion as certified by Australian Certified Organic (ACO), a move that will see all of Voyager Estate’s vineyards transition to organic certification within the next three years. The move underpins Voyager Estate’s long-term commitment to sustainable farming as well as its holistic approach across all undertakings in the vineyard and winery – carbon footprint reduction, use of renewable energy, recycling, land rehabilitation and re-vegetation activities. Voyager recently hosted Claude Bourguignon from LAMS (Laboratoire Analyses Microbiologiques Sols), a unique French laboratory that specialises in analysing vineyard soils to understand its physical, chemical and biological properties and how this relates to wine quality and style. James said Bourguignon was particularly impressed with Voyager Estate soils and attributed its extremely high quality to organic practices, lack of herbicides and use of natural products such as compost, over many years. James commented: “It was great to hear an internationally renowned expert endorse our commitment and shift to organics, and identify our soils as among the best he has seen during his visit to Australia. I know the hard work is going to pay off in terms of the potential for our wines to get better and better.” Owner Alexandra Burt said: “We’ve come a long way since my father, Michael Wright, settled on our special site in Stevens Valley. The transition from patches of bare dirt to established vineyards of beauty and quality has given us the opportunity to craft wines of uncompromising precision and elegance that tell the story of this place. He would be proud to see us taking this next step to organic certification, having come so far along the path already.” Voyager Estate is a second generation, family-owned estate. It was established in 1978 and has been under the full ownership of current custodians, the Wright family, since 1991. It has a focus on world-class chardonnay and cabernet sauvignon.